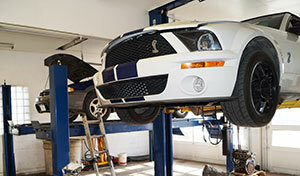 Auto Repair and Transmission Services since 1965! It all started in the late 1950’s when 4 employees of Kamloops Automatic were not happy about how the shop they worked at was run. They felt as though the customers were not being treated fairly and knew they could do it better. The four employees were Cliff Burnett, Bob Burns, Ted Malko, and Larry Maloski. In 1965 the four partners decided to open B&M Automatic Transmissions (of course the surname first initial of all 4 partners is where B&M came from). By 1969 they moved the shop to 1304A Battle Street and that is where they continued to operate for the next 35 years, with 3 of the partners parting throughout the years until by 1985 just Larry Maloski remained as the sole owner of B&M Automatic Transmissions. Glenn Pattison started his employment with B&M in 1989, first as a transmission remover and installer and then as a full time transmission rebuilder by 1992. It was an automatic choice (pun intended) that after 12 years of working for Larry, Glenn bought the company when Larry Maloski retired Jan 1 2000. 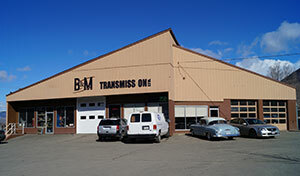 In March of 2000 Glenn changed the name of the company to B&M Transmission in order to reflect the increased services offered by B&M in that now the shop would rebuild manual transmissions as well as automatic transmissions. The shop continued to grow for the next 10 years until we just plain outgrew our 1304 Battle Street location, and bought the former Battery Direct location at 1400 Battle Street. B&M moved the shop to that location in the spring of 2010. By the summer of 2011 we decided to start offering full automotive repairs, along with the expert transmission service, rebuilding and repairs we have become known for. During this transition, we decided to rename our company to B&M Transmission and Car Car Centre to properly reflect our new services offered, and to let the motoring public they could now count on us to take care of all their car or truck’s automotive needs including all general automotive repairs and also wheel alignments as well. Glenn started employment with B&M straight out of Cariboo College after graduating the 1st year automotive program and winning the Teacher’s Award Bursary for outstanding performance at age 18. Glenn started out as R&R (remove and replace) mechanic and then worked his way up to swing man (R&R and some rebuilding) and then transmission rebuilder by 1992. In 1994 Glenn became the head transmission rebuilder and has since overhauled more than 4,500 transmissions, all makes and models. Glenn and his wife Tina, who also works at the shop as the book keeper, have 2 boys named Bryan and Zacary. Glenn rebuilds transmissions as well as performs driveability diagnosis. With over 25 years automotive experience, you can count on Glenn’s expert approach to problem solving to take care of your vehicle. Eric McDowell began working for B&M in April of 2007 as a service advisor. 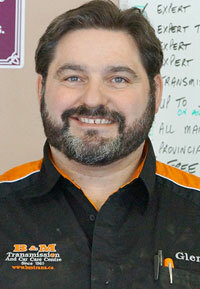 Eric spends most of his time now a days with job estimation, parts acquisition, as well as some service advising. 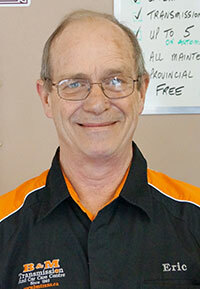 Eric has over 25 years experience in the automotive field as a service manager, service writer and parts manager. Eric worked for Sears Automotive from 1981 until Sears Automotive closed in 2003 first as a service writer, then parts manager, and finally service manager. Eric has one son named Scott. 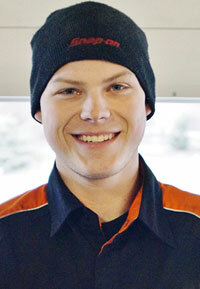 Aaron Stefanuk started at B&M in March of 2011. Aaron completed 1 year of the Engineering Program at the University of Regina in 2009, and then decided that career path wasn’t for him. He worked at a Ford dealership in Regina for 3 months and decided that was what he wanted to pursue. After marrying his wife Christina, he moved to Kamloops and worked at Canadian Tire for 6 months before joining the B&M team. Aaron’s keen mechanical skillset and good diagnostic knowledge will make sure your vehicle’s needs are properly taken care of. Aaron and his wife Christina have 2 young girls, Julia and Audrey. Aaron does some transmission rebuilding, as well as general automotive repairs. Amanda Pattison started working at B&M in May of 2012. Amanda previously worked for Convergys as a customer service agent, as well as assistant manager at Roving K-9 Care. 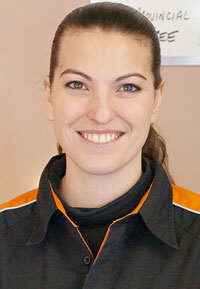 Amanda is our service advisor and enjoys meeting and helping people. She has more than 10 years of customer service experience, and is always a pleasure to deal with. Amanda’s pride and joy is Floyd, her miniature dachshund.